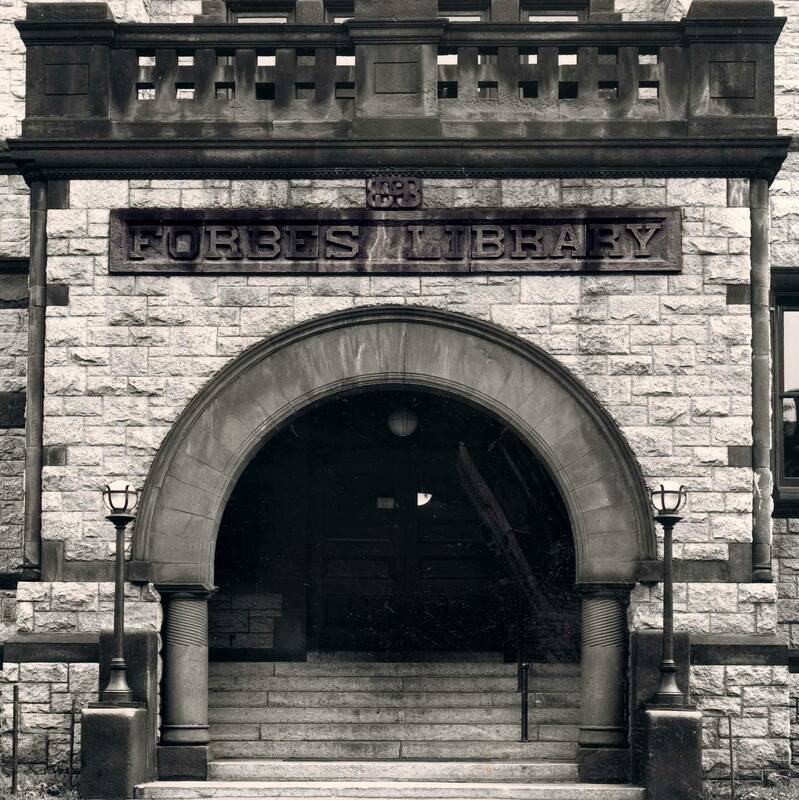 Forbes Library is offering its annual Food for Fines amnesty program during January. This is a time of year to support the needs of people in our community and clear accumulated overdue fines. During this time, patrons may pay overdue fines by donating items in demand by the Northampton Survival Center. The library will be accepting donations of canned goods (please check expiration dates) and healthy non-perishable food items. Items most needed are canned chicken or tuna, baked beans, peanut butter, pasta, rice, cereal, powdered milk, macaroni & cheese, soup, canned tomatoes, spaghetti sauce, fruit juice, canned fruit, canned vegetables, unopened spices, condiments, and cooking oil. The suggested donation is one item for each $2 in fines that are waived and applies to late fines only and not to fees for lost or damaged items. The library will also waive fines for those that are experiencing economic hardship without a donation of food upon request. 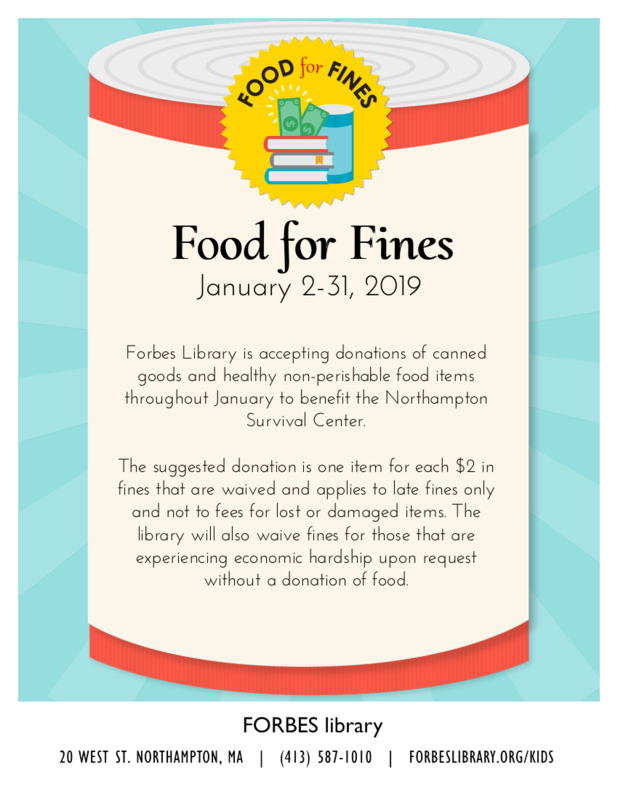 Food for Fines will run from January 2-31, 2019.